How do you feel when you hear that the federal government has lost important information about you? We recently read a CBC report that Human Resources and Skills Development Canada lost a portable hard drive containing the personal information of over half a million Canadians who have received student loans. The portable hard drive disappeared from the HRSDC office in Gatineau, QC in early November. 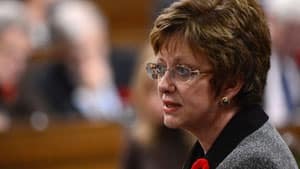 This lost hard drive contained personal information on 583,000 Canadians who were part of the Canadian Student Loans program from 2000 to 2006. Borrowers from Quebec, Nunavut and Northwest Territories are the only areas not affected according to the CBC report. The government claims that there is no banking or medical information contained on the missing hard drive. The RCMP is investigating and the office of the privacy commissioner has been notified. Currently there are no signs of fraudulent activity. This is just another reminder about the importance of ensuring all your business information is properly secured. As your trusted IT company it is our goal to ensure that all your confidential business data is properly protected and that events like this do not occur in your business. Interested in learning more about our range of IT services? Call our office today to book a complimentary review of your IT systems and see if our IT support offerings can help your business safeguard, protect and use IT effectively.